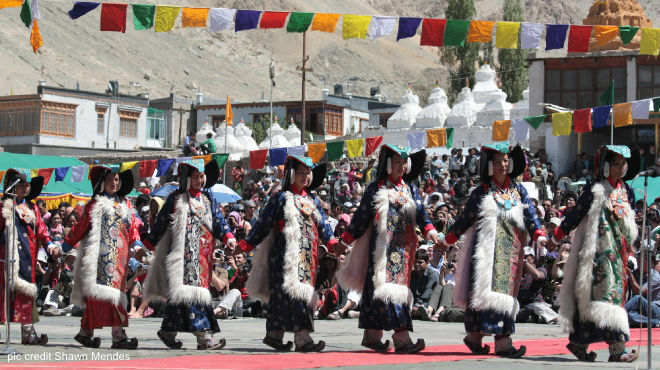 The best time to visit Ladakh is from June to October, when temperatures are 20-30 degrees Celsius and the weather is warmest. During this time, the snow melts, opening up the two main highways that connect Ladakh’s main city Leh – Srinagar-Leh Highway and Manali-Leh Highway. With the weather warming up, the landscape bursts to life and Ladakh is most beautiful. But before embarking on a trip to the region, do check with tour operators as sudden snowslides could block major passes and highways, and snowmelt could wash out entire sections of roads. Here’s a valuable tip: Ladakh does not really have a monsoon, so it’s an ideal choice when holiday destinations elsewhere in India are all rained out!